New for 2017 our European range. Built around a 58mm Button Badge these are a truly special award. The button centre is surrounded by a ruffle tier and then alternating points and tabs with colour accents. Finished with 5 x 38mm wide tails that are 300mm long. Price includes your logo on the button centre in full colour. 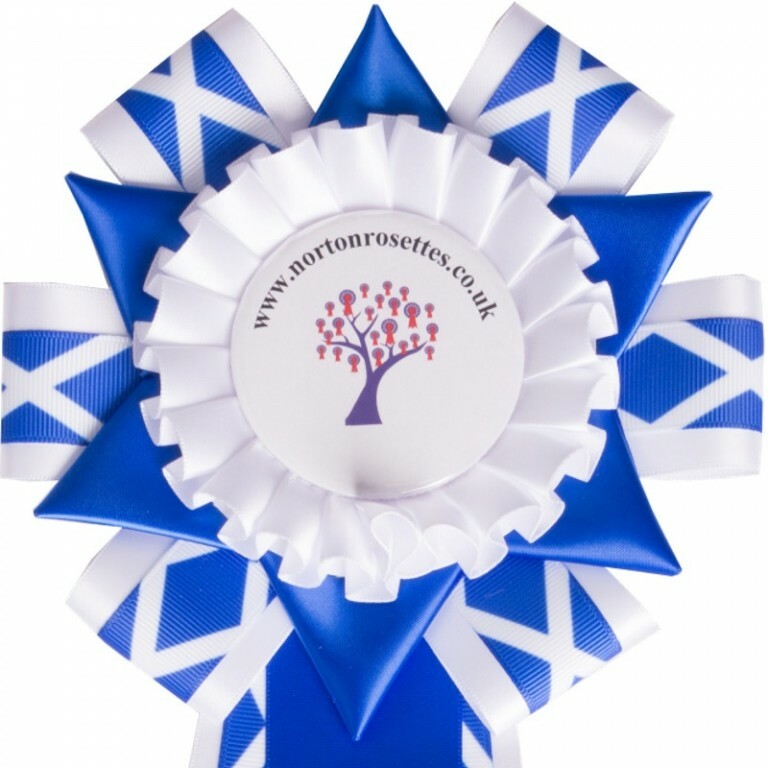 A very different, very luxurious rosette! New for 2017 our European range. Built around a 58mm Button Badge these are a truly special award.Pl..